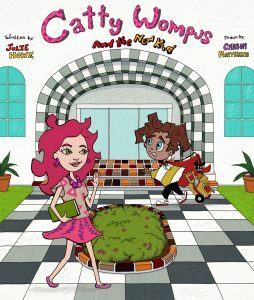 For parents and teachers looking to promote the joy of friendship and the value of acceptance comes the second installment in the Catty Wompus book series by award winning screenwriter, Julie Howe, and artist, Chason Matthams. After learning what it means to be a true friend in Catty Wompus: A Tale of Friendship, our hero Catty Wompus pays it forward when she befriends a super hero, cape-wearing new student, Kelvin Hall, on his first day of school. When the other students are skeptical of Kelvin’s unique appearance, Catty and Lucy Hope, Catty’s best friend, help them all understand that being yourself is something to be proud of! If you enjoyed this story about how one good deed begets another make sure you check out Catty Wompus: A Tale of Friendship and watch Catty and Lucy learn the value of kindness.